Nestled in its own 5 Acres on a wildlife friendly small holding estate, with views of the Cedarberg Mountains and rolling acres of South African West Coast Strandveld. Our Langebaan accommodation is perfect for couples and singles looking for peaceful city escapes. NO CHILDREN, BABIES OR PETS ALLOWED. We are situated in a quiet area with very easy access to Langebaan, the lagoon and other local attractions. 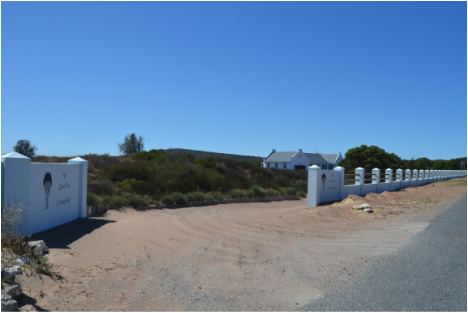 View our accommodation's pictures below but for larger pictures of the accommodation and the surrounding Langebaan area see our slide show. If you are on a budget, check out our affordable rates and specials, definitely cheap accommodation by Langebaan standards. Feel free to pay us more if you wish !!! Peaceful, quiet, stunning, great value and that's just the start, take a closer look at the website for more details.